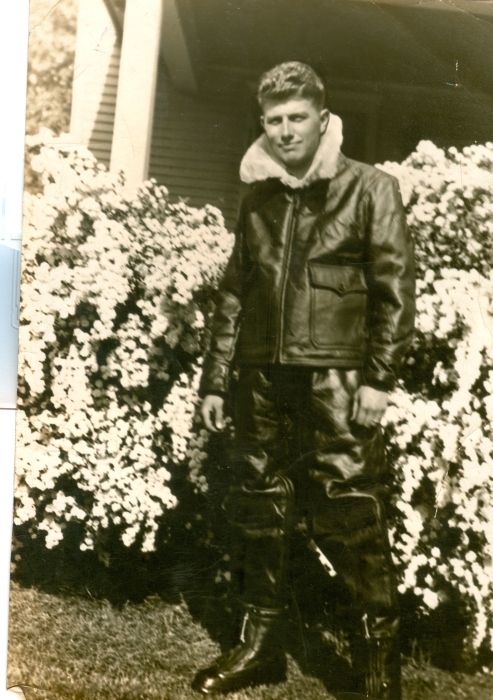 2dLt Elwood Ray Bailey, USMCR, died on August 24, 1942 following aerial combat with enemy forces during the Guadalcanal campaign of World War II. His recently recovered remains will be buried at 1:00 on Saturday, October 13, 2018, in Chapel Cemetery, 8340 E. Michigan Avenue, Parma, Michigan 49269. 2dLt Bailey was born on August 18, 1920 in Sandstone Twp., Jackson County, Michigan. His family included father Ray Jesse Bailey, mother Lula Irene Livesay Bailey and sister Virginia Bailey Tompkins, all now deceased. On June 22, 1942 he had married his high school classmate Daisy Eunice Roberts Speets, also now deceased, in San Diego, California. His nearest survivors are nephews Wayne L. Tompkins, Jr., of Fairlawn, Ohio, and Dennis W. Tompkins of Charlotte, North Carolina. Elwood graduated from Parma High School in 1938. In June of 1941 he graduated from Jackson Junior College and then joined the U.S. Navy. He was appointed an Aviation Cadet, receiving flight training in Miami. On April 22, 1942 he received the gold wings of a Naval Aviator. A year later, after combat training, he was appointed Second Lieutenant in the U.S. Marine Corps Reserve and pilot of the Grumman F4F-4 Wildcat attack fighter aircraft, assigned to Marine Fighting Squadron 223 (VMF-223). Until December 1947, 2dLt Bailey’s case was included by the Quartermaster Graves Registration Company on the list of cases to investigate while it conducted searches for missing personnel in the Solomon Islands. Eventually, since the unit was unable to obtain any new information regarding 2dLt Bailey, it recommended that the case be closed. As a result, in October 1948, a Board of Review ruled that 2dLt Bailey’s remains were non-recoverable. However, in 2012 a series of events commenced leading to the recovery of 2dLt Bailey’s remains: In 2012, a villager on Guadalcanal removed the wing from a crashed warplane he found decomposing in the jungle. He sold the wing to a museum on the island and the museum owner recognized it as part of a U.S. plane. He notified the U.S. Joint POW-MIA Accounting Command (JPAC), now known as the Defense POW/MIA Accounting Agency (DPAA). In February 2013, a JPAC team reached the crash site to investigate. On the intact tail assembly of the decomposed (and scavenged) airplane they identified the plane’s number, BuNo 02095. This was the tail number on the plane being flown by 2dLt Bailey when he disappeared. The investigating team did not recover any material evidence nor any possible human remains at the crash site. In April 2015 the same villager who had found the wing turned over several artifacts, including possible human remains, which he previously had scavenged from the crash site. The DPAA examined the material and concluded, primarily based on 2dLt Bailey’s identification tag that was included in the material submitted, that the remains were those of 2dLt Bailey. Finally, the investigation was closed when, on September 5, 2017, the DPAA’s medical examiners issued a summary report identifying the recovery of 2dLt Bailey’s remains. Beginning in 2014 the surviving family of 2dLt Bailey started receiving suggestions of the possible discovery of their uncle’s remains. Following the identification in 2017 of those remains the family has received ongoing support and direction from the DPAA as it coordinates the ceremony bringing their uncle home with full military honors on October 13, 2018. He will be placed beside the graves of his long-suffering parents. The family wishes to give its heartfelt thanks to members of the DPAA and HQMC Casualty POW/MIA Section who have worked ceaselessly and with great dedication to bring about the burial of our uncle’s remains 76 years after his death. In the hard work of these agencies truly is embodied the phrase, “No man left behind.” The family also wishes to pay tribute to Professor Diana Agy and to Peggy Maher for their remarkable efforts, through the Jackson College Heritage Center, in preserving this bigger-than-life story for posterity. 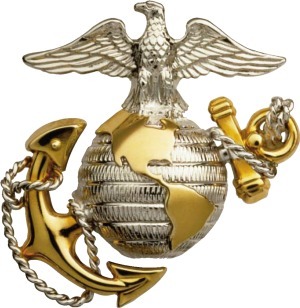 We gratefully extend our thanks to Geoffrey Roecker, webmaster of www.missingmarines.com, for his invaluable and caring assistance. And the family especially appreciates the work of the Watson Funeral Chapel,, Jackson, MI. In their handling of all aspects of this solemn occasion they have been professional, respectful and dignified.